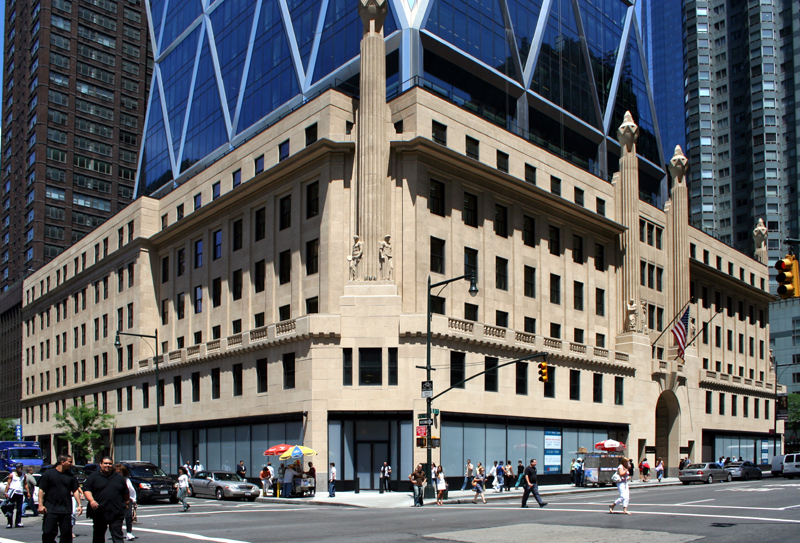 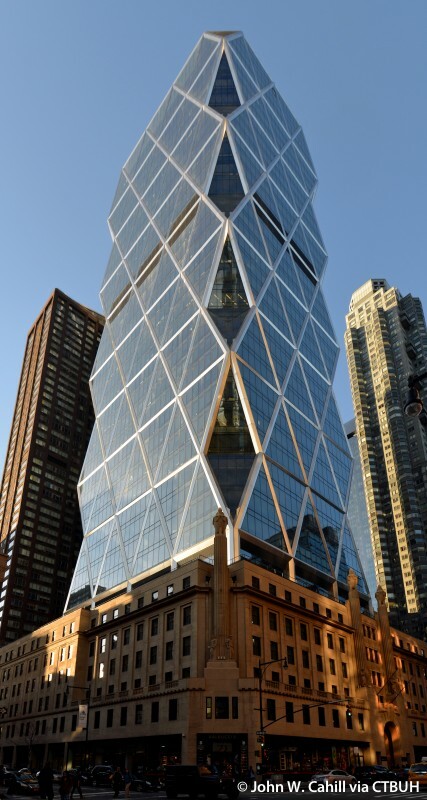 Atop the hollowed shell of the landmark office building erected in 1928, The Hearst Headquarters became the first New York City commercial office building to achieve Gold LEED Certification from the US Green Building Council. 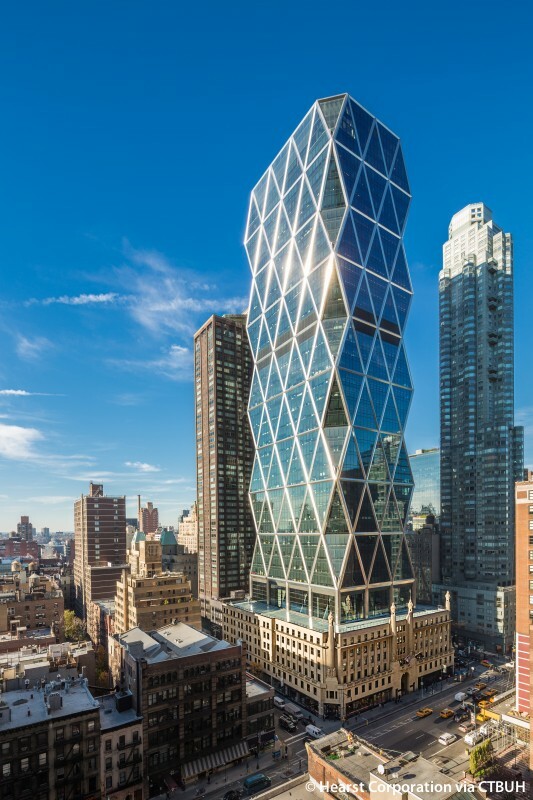 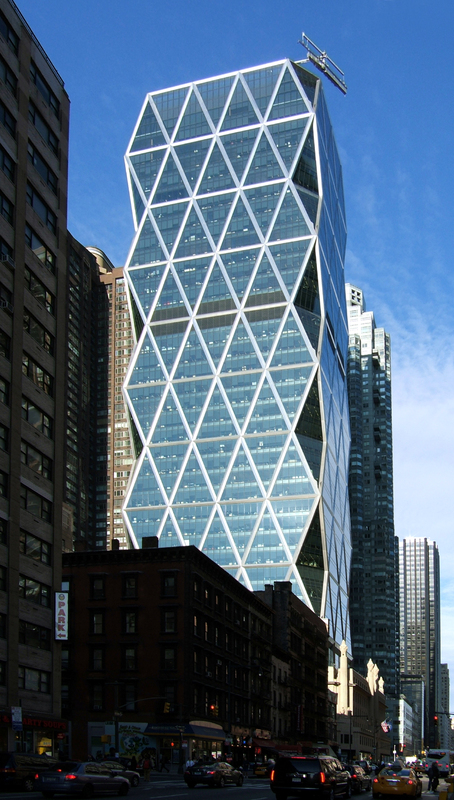 Using 26% less energy than a building constructed to normal code, the Hearst Headquarters features a distinct, thermal efficient diagrid design that provides an open interior with a panoramic view over Central Park. 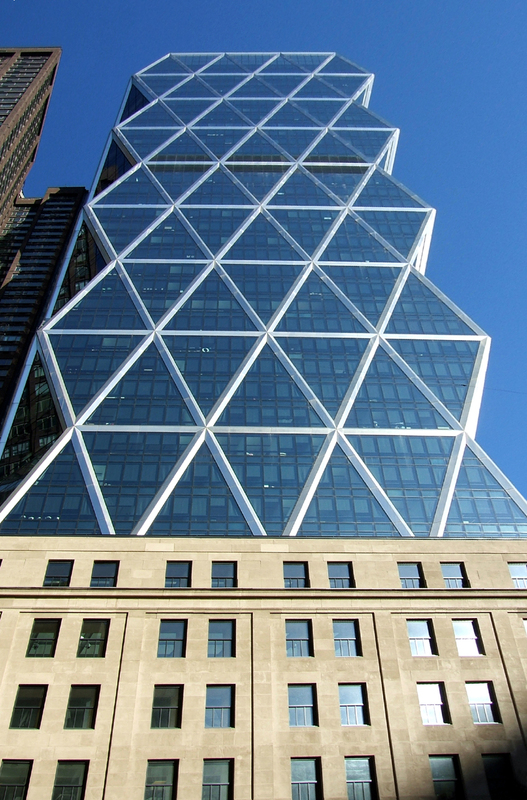 The building’s unique design saved 2,000 tons of steel, involved 90% of steel made from recycled material and required only 10% of all materials to be imported during construction, reducing overall cost and emissions. 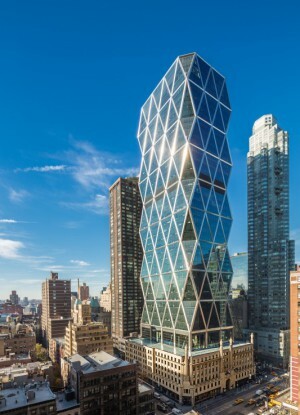 A 14,000 gallon reclamation tank was introduced to recycle rainwater from the building’s rooftop to supplement cooling systems, water plant life and support the building’s innovative “Icefall” water feature that controls lobby temperature and humidity. 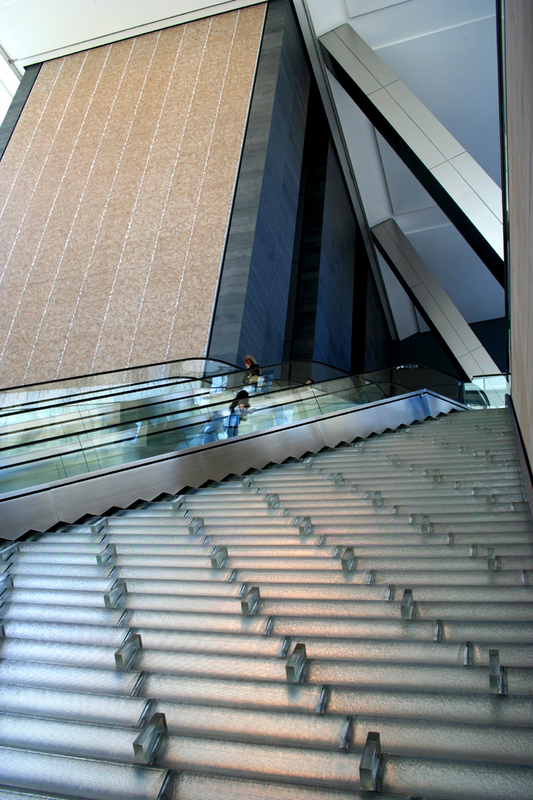 The system reduces the tower’s sewer runoff by 25%. 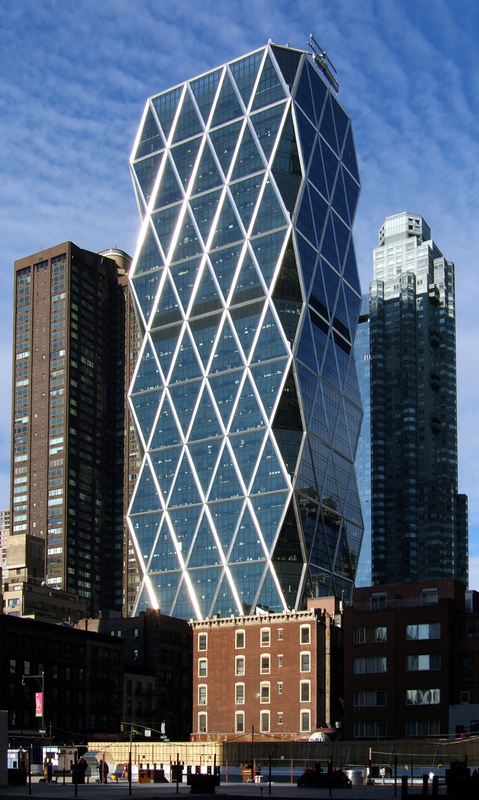 Hearst’s additional “green” features include: variable air volume system, central air handling units on the 18th floor, temperature control units on each floor, radiant floors to heat the lobby, 100% outside air purge cycle for operational flexibility and post construction indoor air quality management, daylight sensors, humidity sensors and controls, low emissions materials, CO2 sensors for demand controlled ventilation and VOC sensors.